Ms. Ussher was born in the United Kingdom to parents from Ghana and moved to the US after graduating college. 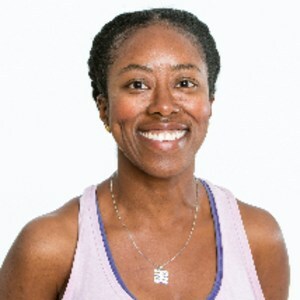 She holds a B.A in English Literature and Media/Communications, is certified in Kundalini and Hatha yoga, and has studied Early Childhood Education at Santa Monica College. She’s excited to share yoga with the scholars of Equitas 3, helping them to have healthy relationships with their bodies and facilitate their social-emotional growth in the areas of confidence and resilience. Skills that can be used both inside and away from the classroom. Since 2010, Ms. Ussher has worked with students of all ages throughout Los Angeles County. Before coming to Equitas, she worked in South Los Angeles with the Yoga In Schools program and the Youth Policy Institute’s Health & Wellness department in East Hollywood, Pico–Union and Pacoima. When she’s not teaching, Ms. Ussher enjoys traveling, live music and spending time with family and friends over a good meal.